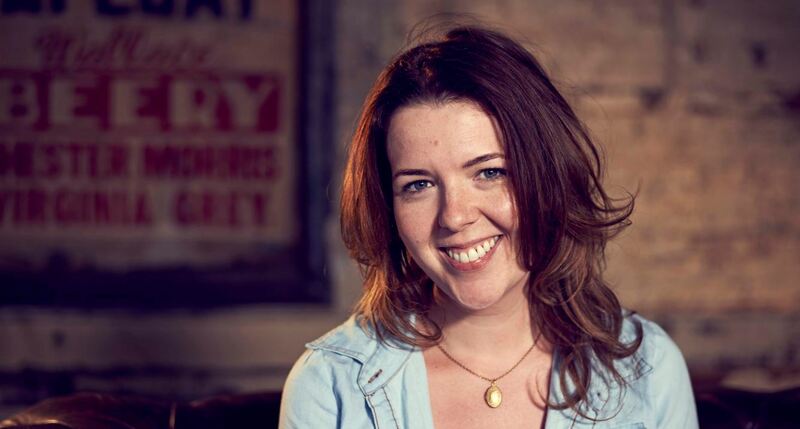 A Queen’s 2002 BA Drama graduate – Northern Ireland born Elizabeth (Lisa) McGee – is currently the toast of the comedy world with her runaway television hit Derry Girls, which attracted 2.5m viewers for its first episode on 4 January. Lisa McGee was born in Derry where she attended Thornhill College before coming up to Queen’s to read Drama. Early in her student days she realised that acting was not for her so she concentrated on writing instead. It was while Lisa was at University that she scripted her first plays - Girls and Dolls (which won both a Stewart Parker Award (2007) and the Blackburn Prize) and How to Get to Heaven from Belfast, which was staged as a student production upstairs in The Parlour Bar on Botanic Avenue. After graduation in 2002, Lisa and three of her friends set up their own company called Sneaky Productions which premiered a co-written piece Jump! (later made into a film), which played to enthusiastic audiences in the Cathedral Quarter Arts Festival in 2003. She worked with Tinderbox Theatre Company for a while before, in 2006, undertaking a prestigious yearlong writing course with the BBC and the Royal Court Theatre in London. Lisa’s impressive back catalogue now includes: The Heights, Nineteen Ninety Two, The Opportunists, A Little Pink Light and The Young Man with the Cream Tarts, while her writing for television includes: Totally Frank (Endemol, Channel 4) and The Things I Haven't Told You for BBC 3. Lisa also created RTÉ's restaurant drama Raw, before working on the Bafta-nominated Being Human (BBC) and on Indian Summers (Channel 4). Set in 1994, Derry Girls is based partly on Lisa’s teenage years in the 90s, growing up in the Maiden City and attending a Catholic convent school. It takes a caustic, irreverent and nostalgic look at life in the city, primarily through the eyes of a group of local female teenagers (there is only one young male character, a mild-mannered cousin from England), living out what they see as ordinary lives. Full of dark humour, the girls (like teenage girls almost anywhere in the world) are preoccupied with parties, boys and makeup, rather than The Troubles, which though extraordinary and abnormal, were often seen at the time (by young people at least) as routine and mundane. Speaking recently to the Irish Times, Lisa commented: "I tinkered with the pilot of Derry Girls for a year, writing most of it while I was pregnant with my first baby," she said. "That episode was the hardest part because I didn't know who the characters were, or what the balance of the show was, or how involved the family would be. Once I'd crossed that pilot and knew the world a bit, it was about finding the stories that worked for the characters. It all clicked in a bit better. Filmed last July, some scenes were recorded in Belfast though Derry Girls was shot primarily in the northwest, with each of the episodes featuring at least one Maiden City scene. Lisa’s old convent school, Thornhill College, was also the location for the fictional Our Lady Immaculate College. The cast includes comic Tommy Tiernan and actress Tara Lynne O’Neill and Game of Thrones star Ian McElhinney, along with Lisa's fellow Queen’s graduate, Leah O’Rourke, BA Drama & English (2010). Over 2½ million viewers tuned in to watch the first instalment of Derry Girls, making it Channel 4's highest-rated comedy launch in the last five years. With the six-part run due to end in a few weeks, it’s not surprising that Channel 4 has commissioned a second series. What was unexpected is that they did so after just one episode had been broadcast! Lisa is married to English actor/writer Tobias Beer, who has worked with the Royal Shakespeare Company and the Globe Theatre in London. The couple live in Balham in south London with toddler son Joseph, and are currently working together on a marital thriller entitled The Deceived, which is based in Cambridge and Donegal. Derry Girls continues on Channel 4 on Thursdays at 10pm. Photo of Lisa McGee courtesy of Channel 4.